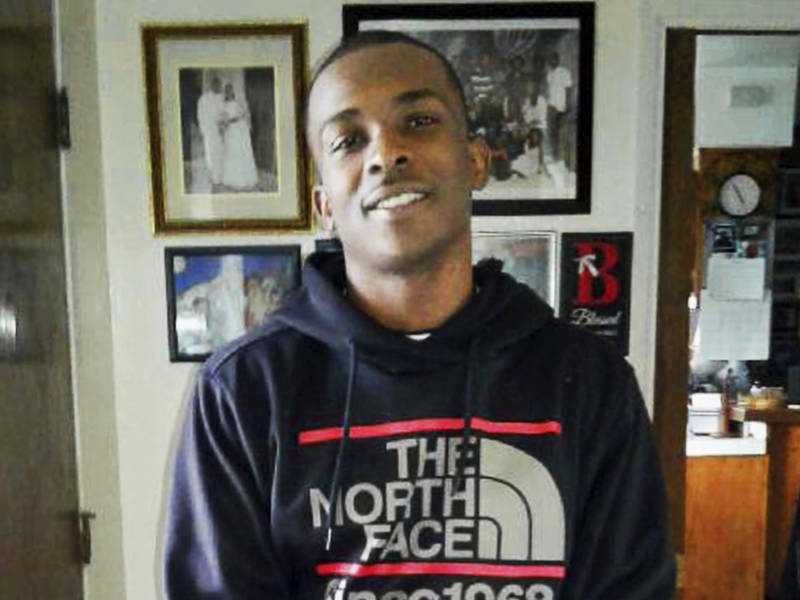 Several lawmakers and the family of Stephon Clark, a 22-year-old unarmed black man who was fatally shot by Sacramento police, proposed on Tuesday that California become the first state to significantly restrict when officers can open fire. A proposed state law would change the current "objective reasonableness" standard stemming from the U.S. Supreme Court's interpretation of the Fourth Amendment. Assembly Bill 931 would instead "authorize deadly force only when it is necessary to prevent imminent death or serious bodily injury," according to a summary of the legislation. The bill's text had not been officially filed as of Tuesday afternoon. Officers would be allowed to shoot only if "there were no other reasonable alternatives to the use of deadly force" to prevent imminent serious injury or death, said Lizzie Buchen, legislative advocate for the American Civil Liberties Union, which is among the groups behind the measure. The bill aims to change the language of two California Penal Code sections, Buchen said, both of which originated in 1872. California Penal Code Section 196 defines "justifiable homicide" by public officers, and Section 835a gives police officers authority to use "reasonable force to effect the arrest, to prevent escape or to overcome resistance." 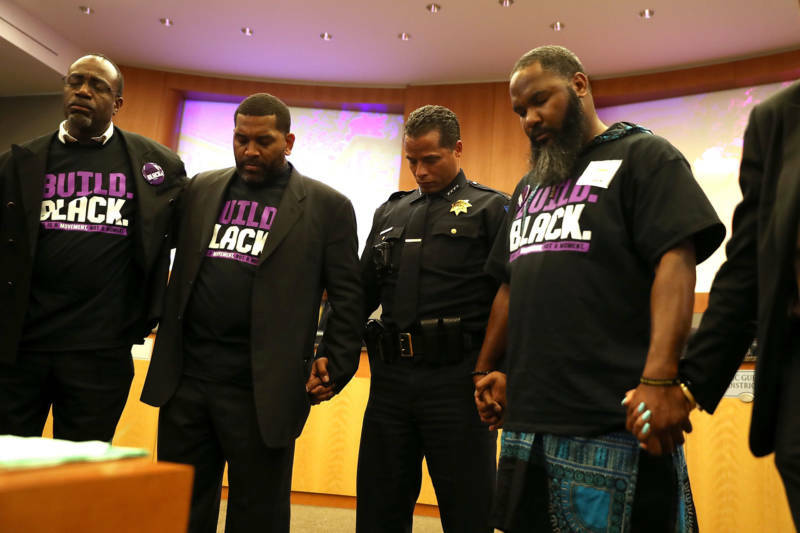 The new bill's goal is to encourage officers to try to defuse confrontations or use less deadly weapons, said Democratic Assemblyman Kevin McCarty of Sacramento, who is co-authoring the legislation. "Young black men are 20 times more likely to be killed at the hands of a law enforcement officer than young Caucasian men," McCarty said. "The time is now to revise this over 100-year-old law, which unfortunately too often justifies deadly force incidents." 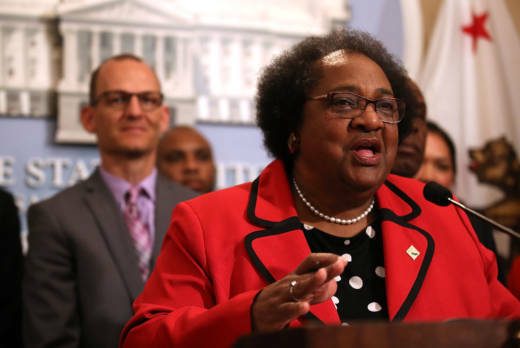 Proponents said the bill would require all California police departments to adopt use-of-force policies similar to a new set of rules in San Francisco, which emphasize de-escalation and alternatives to deadly force when feasible. This March 18 photo shows Stephon Clark the afternoon before he died in his grandmother's backyard in Sacramento. Sacramento Police Chief Daniel Hahn told The Associated Press last week that he is open to examining the department's policies on pursuing suspects and other practices, but warned that changes could carry consequences. California's current standard makes it rare for officers to be charged after a shooting and rarer still for them to be convicted. Frequently it's because of the doctrine of "objective reasonableness." If prosecutors or jurors believe that officers have a reason to fear for their safety, they can use deadly force. The tougher proposed standard could require officers to delay confronting a suspect they fear may be armed until backup arrives or force police to give explicit verbal warnings that suspects will be killed unless they drop the weapon, said Buchen of the ACLU. "It’s clear that the current law protects the police, not the people," Buchen said. "It allows officers to kill community members when they had other options or when they’re the ones who created the danger." The proposal would open officers who don't follow the stricter rules to discipline or firing, and sometimes even criminal charges. Alex Emslie of KQED News contributed to this report.